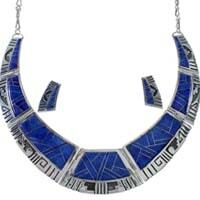 The Native American lapis necklaces in our collection encompass the diversity and beauty of the American Southwest. 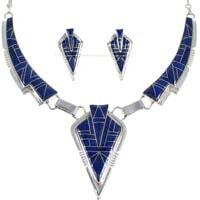 We offer everything from traditional Navajo lapis necklaces to high fashion liquid silver lapis necklaces and every conceivable style in between. 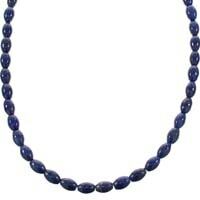 If you're looking for the highest quality lapis necklaces, SilverTribe is your one and only source for the best products at the lowest prices around. 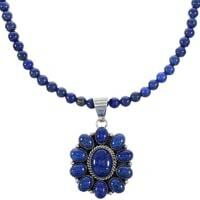 We offer high quality Lapis necklaces at steep discounts with prompt shipping on all orders. 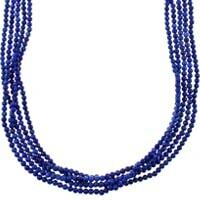 We offer great styles of lapis necklaces for any occasion. Our selection includes some of the most stunning examples on the market today. 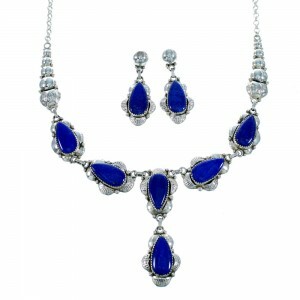 Lapis is a semi precious stone regarded around the world for its vibrant blue color. Scientists believe this beautiful stone was first mined in the 3rd millennium BC. 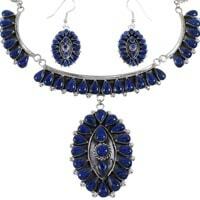 It's a popular addition to Southwestern jewelry and tribes such as Zuni, Pueblo and Navajo use beautiful designs to highlight the intense blue color in lapis necklaces. 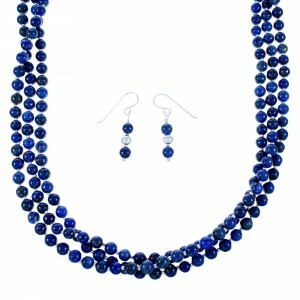 Native Americans have been highly skilled at crafting stone into beads and pendants for necklaces for generations, so they don't miss a beat when a new material becomes available, and lapis was no exception. 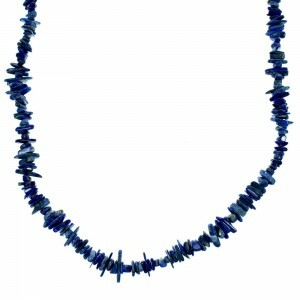 The tribes of the Southwest have taken this beautiful stone and made it their own by creating a stunning array of lapis necklace pendant sets and hand strung bead lapis necklaces. 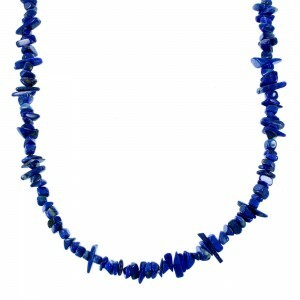 The beautiful blue stones used in the creation of these lovely lapis necklaces are thought to have a huge array of properties and powers that can range from the physical to spiritual and supernatural. 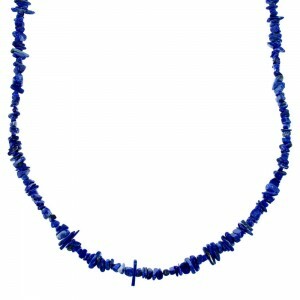 In the holistic category lapis is thought to alleviate migraines, boost the immune system, cleanse the organs, and even cure insomnia. 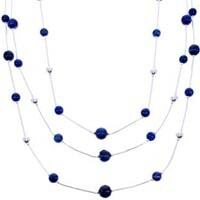 SilverTribe is a trusted leader providing the highest quality lapis necklaces at the best prices around. 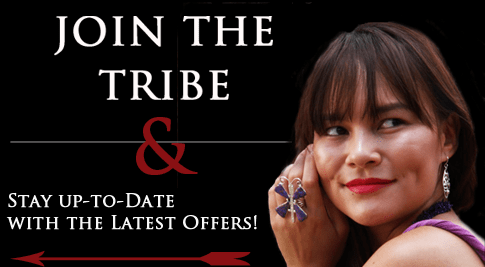 We are always updating our catalog of Native American necklaces to include pieces from the most talented artists in the region and beyond.